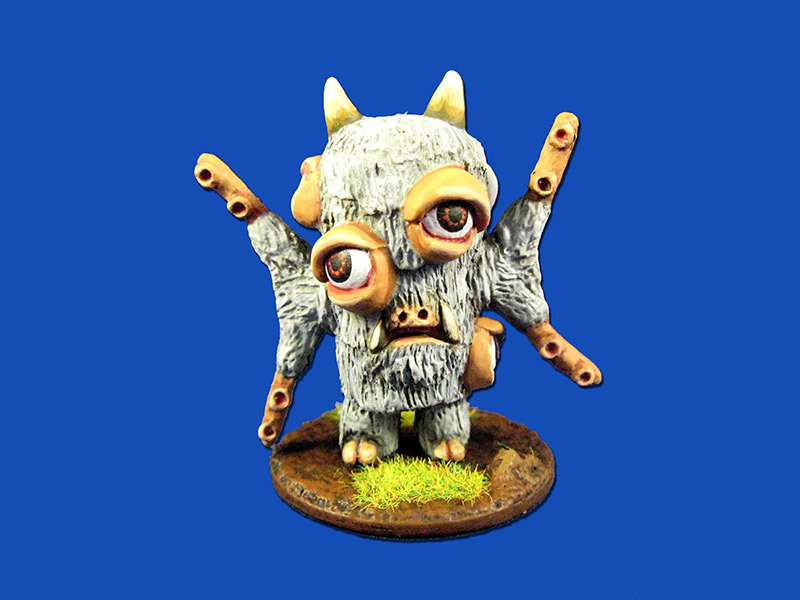 Description: Approximately 50mm tall and comes with a 40mm round base, Optithulhu is designed for use in both Kaiju Kaos: Smackdown and Kaiju Kaos - The Miniatures Game. Optithulhu is a devout minion of Cthulhu born in the earliest days of Creation by forces indescribable by humans. The horrid kaiju has survived the Ice Age and the sinking of R’lyeh only to be awoken by the Rift of 2003. Heeding his master’s call, this Eldritch Horror can be found throughout the Pacific Rim terrorizing all that cross his path. Official game stats for Optithulhu are available at WargameVault.com (BRCSD956: Kaiju Kaos: Smackdown Bonus Stat Sheets, Vol. 01).